Degenerative arthritis: there is hope! Degenerative arthritis is the most common type of arthritis. It occurs when the cartilage that protects the bone disintegrates and a new bone, called spurs, develops. It extreme cases, the cartilage is eventually lost. How do we prevent OA? How can glutathione help prevent OA? Location of this type of arthritis is usually on the knees, feet, spine and hands. But the shoulder and ankle can also be affected. When bones rub together and the cartilage is weak, inflammation occurs and so does pain. Degenerative arthritis, also called osteoarthritis, may develop after years of injury. It usually, however, occurs as we age. As we age, the water content of the cartilages increases while the protein content decreases. It is the protein content of the cartilage that serves as cushion to the joints to minimize impact. Repetitive use of the joints over the years causes the cartilages to degenerate. Most cases of osteoarthritis or OA have no known causes. As such,they are called primary osteoarthritis. 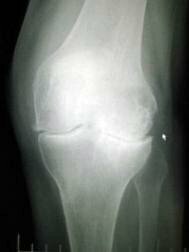 When the cause is known, it is called secondary osteoarthritis. Secondary arthritis is usually caused by other conditions or diseases such as obesity, diabetes, gout, injury, surgery or congenital abnormalities. How do we prevent degenerative arthritis? Maintaining an ideal weight is crucial since excess weight give more stress to the joints such as the hip and knees. Exercise, along with good nutrition, is still the best bet against progression of this condition. Avoiding risky sports may help prevent this disease. There is some evidence that glucosamine, with or without chrondoitin, vitamin D, vitamin C, and selenium may deter progression. There are also a few preliminary studies about avocado soybean unsaponifiables (ASU). It is an extract from avocado and soybean oils. When mixed together, it may slow down cartilage degradation. And it may help repair the cartilages in the hips and knees as well. Want updates on glutathione's use for your health? Sign up in the Glutathione for Health and Beauty Newsletter on your left! How can glutathione help prevent degenerative arthritis? Glutathione can help in preventing or managing osteoarthritis by reducing the inflammation in affected parts. Inflammation is simply the body's reaction to injury or infection. Specifically, during inflammation, our body's white blood cells and chemicals (antioxidants, enzymes, etc) fight back infection and foreign substances in order to protect us. Our body is in constant state of inflammation as our body is in constant state of fighting free radicals. Even normal body processes such as staring at the computer, produces free radicals. Glutathione helps quench inflammation by protecting each and every cell in our body from free radicals. In other words, glutathione helps fight the inflammation that occurs in osteoarthritis, thereby decreasing, if not totally eliminating, the pain. Hear from Mr. Rudy Silva in his article "Are you using glutathione?" here. Read other glutathione testimonials here. Learn about the benefits of glutathione! Click here. For further information about how to avoid age related disorders, discover Age-well.org. This website provides a wealth of information on ageing well such as exercise, drinking lots of water, facial exercise and more!